What Could Be Become the Problem for You? Should You Go For a Free VPN Server? If you’re looking for a deal, you’ve landed on the right page. A really Free VPN connection is for sure a deal. On the market, there are so many free Virtual Private Networks that it is pretty challenging to understand which ones are trustworthy (not many!) and which ones must be avoided. 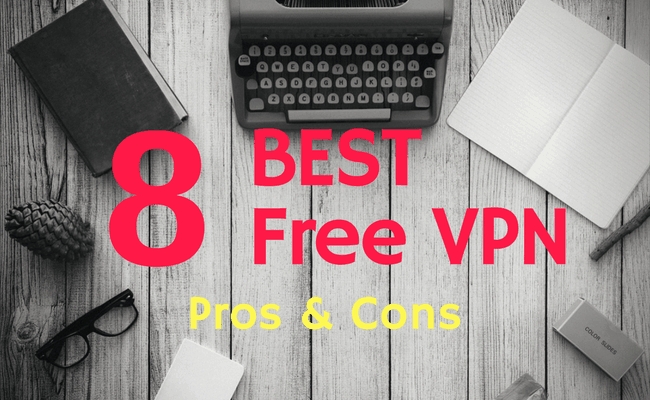 We have selected the best Free VPN Servers for you. Even though we are not against free providers, you need to know what are the possible dangers that come with them. In this article, you will understand when you can use a free VPN software without worries and when you should avoid it. We have even selected the best really free VPN servers available today on the market for your reference. In today’s world, it is mandatory to protect your devices when using the Internet. For that, proxy servers and antivirus can be installed to secure your privacy and your personal data. Anyhow, none of them will guarantee you the protection level that a VPN connection ensures. Another annoying problem you often have to deal with is geo-restriction and location errors. They prevent you from accessing several contents on the internet. For example, you might not be able to watch episodes of your favorite tv show if you are not located in the broadcaster’s country. For instance, the most popular online rental services, Netflix, doesn’t make its rich US catalog available to users connecting from outside the US. You will have the same problem if you want to watch BBC iPlayer from outside the UK. You might not be able to access Facebook or Twitter from your office or at school.The same thing applies to music streaming sites like Spotify or Pandora, available only for users in the US, Australia or New Zealand. All of these legal restrictions are just frustrating. Fortunately, connecting through a VPN you can bypass this kind of roadblock and enjoy all the content you desire from anywhere in the world. Most importantly, you will not compromise your privacy and security at the same time. It’s a program that hides your real IP address (which is what websites are using to restrict access to their content) and assigns you a fake one to simulate your presence in another country. This method is 100% legal and makes your connection more secure when downloading data from torrent sites. paid VPN (monthly or annual fee). The free VPN version can be tempting and will definitely do the job. However, keep in mind there are a few drawbacks if you choose that kind of service. The old saying “you get what you pay for” is often true when it comes to free VPNs. A free VPN poses a danger to users that are not found with a paid VPN subscription. Especially if you are not careful in your choice, most of the time you will end up paying more in the long run. How is that? One of the more common practices of free VPN’s is to allow third parties to look at your data. When you connect to the Internet through a VPN server, your ISP (Internet Service Provider) cannot see your data as well as third parties like hackers, governments and so on. But the VPN provider itself has access to your data. 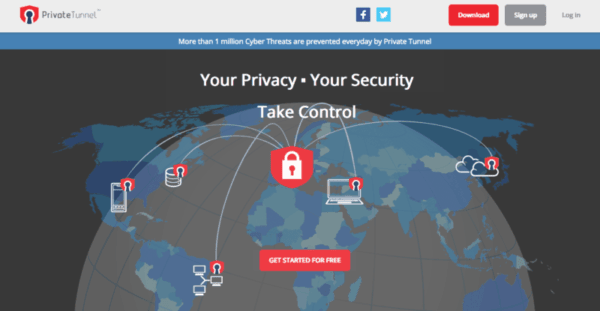 When you sign up for this free VPN, chances are you did it to stay anonymous online. However, these VPN providers may sell your information to third parties who in turn will use it for their businesses. This makes sense for VPN providers, how else could they afford to offer a VPN service to clients with no fee? But it doesn’t make sense to you who are looking for privacy and end up instead with your personal info being sold to third parties. Malvertising is another common practice with free VPN’s. This is the VPN provider’s method of attaching malware to your device. The extent of the problem and the dangers for the users have been recently exposed to a new study on free VPNs by CSIRO and some articles published on WIRED. When you visit a website, you notice no change. However, the VPN provider has switched out the current ads on the website, for ones of their choosing. These ads could be with partners they have, they could be more related to what you have searched in the past, or they could even be for a paid version of the service that you are currently using. This is a tactic that many free VPN’s uses. Malware has become a huge issue in recent years for those who are utilizing a free VPN on any device they own. Malware encompasses a huge field of issues. For example, this malware could be computer viruses, Trojans, worms, adware or spyware. Malware is installed on the device via the VPN provider. From there, what happens can be endless. You could unknowingly send this malware to others if you are connected to the VPN while sending messages to contacts. You may find that this malware sends your exact browsing history to a remote location in which someone else can find. It really is endless in how this could affect you. There are also legal ramifications to consider when using a free VPN. In the past few years, the truth about free VPN’s has been spoken about loudly throughout the technology community. It was found that many free VPN’s states that your identity is anonymous. However, when a user goes to a site that is not considered harmful, illegal or inappropriate by any means, the provider basically kicks the user off their service. However, the person still believes they are connected to the VPN. This poses several problems that have recently been highlighted. Your connection is wide open for anyone to hack into. While you may be on a perfectly legitimate website, that does not mean that there are not hackers or criminals simply waiting for you. The provider has been known to measure the bandwidth that you would have used if connected and then sell this to others. This way they are making a profit while you think you are protected. Along with selling your bandwidth, they are also selling your IP address to the highest bidder! This could open your address for more cybercrime if this is received by the wrong person. In the above situations, if the person’s IP address and bandwidth are given to the highest bidder, this means you could potentially be accused of cyber crimes. For example, if a criminal were to set up a DOS attack under your IP address, this is going to be linked back to you, even though you did not do this. If this DOS attack is caught, it could mean having to prove your innocence, which is going to be hard to do when the facts state that your IP address was the one involved. Remember, when you sign up with a free VPN, you are giving them access to your most private information. Therefore, the free VPN must be one in which you trust. Therefore, we highly recommend a paid subscription to one of the best VPN providers on the market. Paid VPN’s offer a higher level of security and maintain a code of ethics for how they treat their customer’s data. So, if you are still intent to utilize to a free VPN server, here are the Top 10 really free VPN providers. After all, it wouldn’t make any sense to pay for a service if you can get exactly the same for free, right? TunnelBear is our first choice among free VPN services. If you’re looking for an easy-to-set-up, user-friendly, and really free VPN server, then TunnelBear might be for you. It offers great anonymity and security while surfing the web. Anyway, the lack of international servers and low speed compared to what competitors are offering might turn off some people. 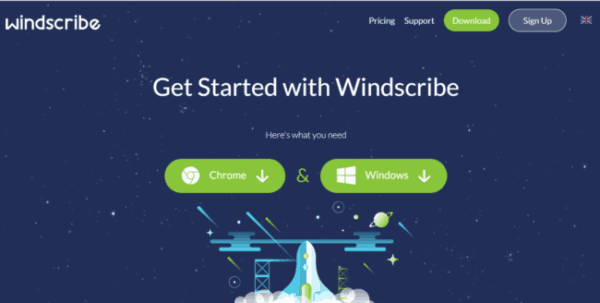 Windscribe is a young contender in the Virtual Private Network free server market. It includes a number of privacy options as well as an ad blocker. However, the number of servers available for the free service is somewhat limited. To be noted, Windscribe is probably the only free VPN that allows P2P on every server and to connect unlimited devices. Hide.me is a good option in the VPN market. This free VPN is reliable when it comes about privacy and the connection speed is pretty fast (not always!). The free account limitations are significant compared to the paid version but if you need a VPN for minor tasks, Hide.me is a good choice. To be noted that the free VPN account doesn’t support OpenVPN protocol and therefore the security level is not top notch. 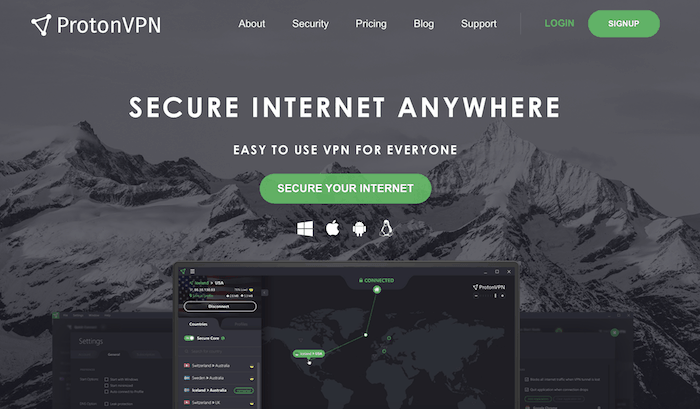 ProtonVPN is a fairly new project based in Switzerland. It offers a no-logs policy and decent level of security. Of course, most of the features that make this VPN interesting are not available in the free VPN version. However, ProtonVPN can serve your purpose if you are not planning to download BitTorrent or bypass censorship. 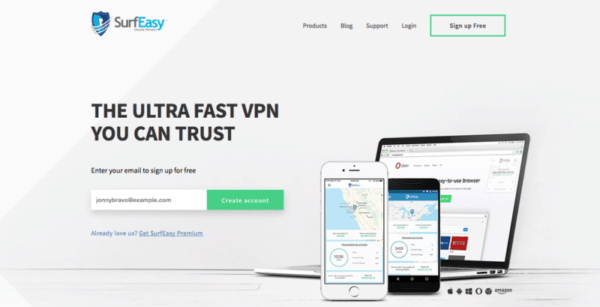 SurfEasy is one of the top contenders in the free VPN server category. It’s fast, reliable and offers great support for all the customers’ needs. They have a lot of servers available so you can find the best one for you. 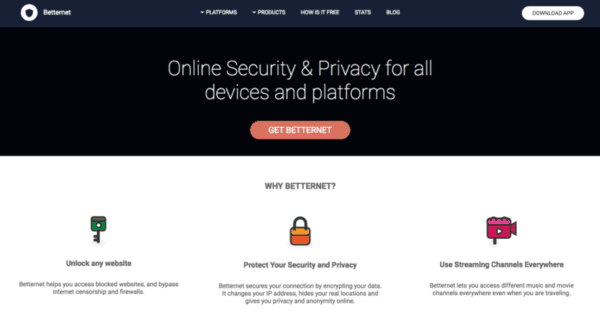 Betternet is a really free VPN server that makes money through ads. Subscribers can benefit from a great security and privacy level. It is really simple to use and can be activated with a touch of a button. Some ads can be invasive though and you might need to watch a few videos in order to activate the service. Private Tunnel is available on Windows and Mac platforms. Server selection is not optimal but provides a steady connection nonetheless. Their business model is a bit different from competitors since you can pay per GB used. VPNGate is a simple and easy to use service with a clean interface and without all the flashy features. You can select a server from the list and immediately get connected. Unfortunately, it might not be for everyone because there can be a lot of trial and error in order to find a reliable server. There you have it, the best free virtual private network list you can find on the Internet. Still, I must insist that using the free version of a VPN will give you the experience you want but will never be optimal. It is for sure a good option if you just want to experience the benefits of a VPN connection. It could be a stepping stone to move to a highly reliable paid service. If you really care about your privacy and Internet security, keep in mind that a free VPN server doesn’t guarantee the anonymity you need. If you’re planning to download BitTorrent or you’re planning for sensitive tasks on the Internet, a free VPN is never a wise choice. We suggest you checking one of the best VPN for torrenting than can guarantee you total safety. As we mentioned at the outset, a Virtual Private Network for free often makes money selling your data to third parties. If you think about, that goes against the concept of anonymity and security that a good VPN provider should ensure. For just a few bucks per month, you can subscribe to a paid version and enjoy unlimited bandwidth, optimal speed as well as the maximum level of security. You can check the Best VPN on the market we reviewed for you and find the one that best suits your needs and budget. Keep in mind that many of these highly trusted services like ExpressVPN, CyberGhost, HideMyAss, IPVanish, NordVPN, and several more offer a free trial period to test their services. For instance, with ExpressVPN you can try it for 30 days for free. That could be a good option to both have a service for free and test the potential of a good VPN provider.